Fact number one - everyone loves a good book! 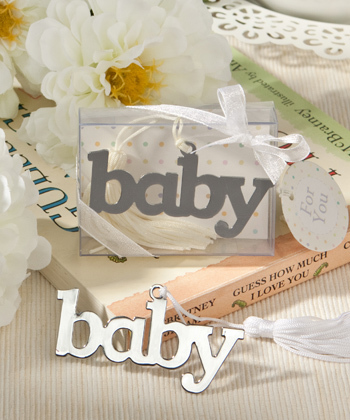 With that in mind, Fashioncraft designed our Book Lovers Collection of cheerful book mark favors. Fact number two - everyone loves babies! So, we decided to bring the two together with this cute and useful charmer. The results are sure to please - and that’s a fact.